The TT is a loose fit and light weight perfect for warm ups, cheering and the bar. Not suitable for full contact training or matches. Our lightweight tech tee is made out of 3.5 oz. birds eye mesh. 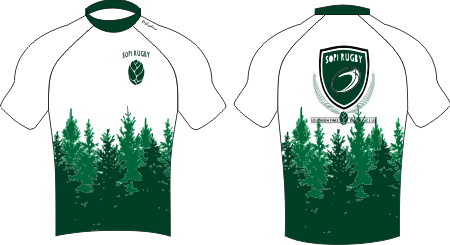 They are fully sublimated which means you can print any design you want on it including individual players names and numbers.